You know how you have exes, and then you have THE ex? You know the one. He broke your heart into pieces. Maybe you were convinced he was the one (it seemed so for real that time!). Then you felt him slipping away, so you did everything you could to get his attention. I was going to grad school in Jerusalem when I met him. And I was SO into him. He had similar interests and values I did. He was Jewish, he was American. And there was so much chemistry. I was c.r.a.z.y. about this guy. At first, I thought being with him was a long shot. He worked where I was a graduate student intern, and he was so perfect. Did I really deserve it?! Could I be with him? Could it really be that perfect? But in my lust-filled heart, I really thought he was the one. After mad crushing on him for about a month, we hung out on our own one night, and that’s when we started dating. He was also really into me. Whether or not he thought I was the one, I’m not sure. But I know he told some of his childhood friends about me. Then, I could feel him beginning to slip away. It was so subtle at first my friends and therapist thought I was crazy. But I knew. There were less smiley faces in his texts. Not as many exclamation points. He was still initiating contact or time together, but a bit less. Those good morning texts? Dwindling by the day. And when we talked, I could sense he was a bit less present with me. I could tell something was off, so I became obsessed with making sure he liked me, and that we were on the same page. I obsessed with how I could run into him “by chance,” or finagle a situation where we’d be “randomly” hanging out on a Friday or Saturday night if we didn’t already have plans. But the more I tried, the further away he got, and the more desperate I felt. But really, I was in denial. And this denial became the norm for our relationship, and we dated for another 4 months, even after I knew we were done. For months, my emotion du jour was 100% based on whether I felt like he was getting closer to me or further from me. If he initiated something, texted me, or did anything else to suggest he was into me, I was on cloud nine that day. But the high highs were always short lived, and within a day or two I’d be straight back at the very bottom, and stay there, until he initiated something else with me. I was on this intense emotional roller coaster for months. MONTHS. I’m almost ashamed to admit that for those months, my life revolved around getting his attention and affection so I could get us back to how things were when we started dating. I ditched friends to hang out with him (They’d understand… right?). I didn’t take full advantage of living abroad and traveling because I didn’t want to miss an opportunity to see him. I was getting by with school work, but I certainly wasn’t giving it the attention it deserved. Most of all, our relationship, and my constant need for his attention and affection were distracting me from my own needs and desires. I finally got to the point where I couldn’t take the emotional roller coaster. In fact, the things that used to give me the high highs didn’t even work anymore. I couldn’t stop obsessing over our relationship, so I finally had no choice but to tell him how I felt in our relationship, and that I just wanted to know how he felt about me. Of course, in that conversation, he broke up with me. Deep down I knew it was coming, but I was still devastated because a tiny part of me had hoped that this was all in my head. And I hated him for it, too. He was so friggin nonchalant when he said, “I’m just not feeling it anymore,” as if he’d be feeling this way for months. You couldn’t have said anything earlier, buddy?! I had this whole strategy in my mind that I just needed to get his attention. If I got his attention, I could get his affection. And if I could get his affection, then I could control the situation enough so we could get back to how we were at the beginning. 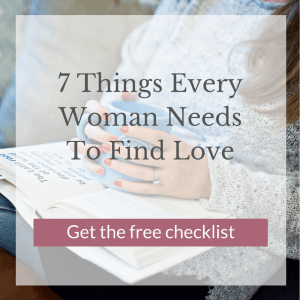 Get the free checklist and don’t do what I did: Download 7 Things Every Woman Needs to Find Real Love. But the key thing that I left out of my little plan were my own needs and desires. I was OBSESSED with trying to please him and get his love that I didn’t even bother to consider what I wanted or needed. For example, the whole time we dated, he refused to have us be anything official because “he didn’t believe in labels,” and I pretended to be cool with that. He wasn’t really dating me, he was dating someone trapped in my body who’s entire self-worth was dependent on the attention she got from him. She was smothering, willing to drop everything for him, and honestly, pathetic. And I say that with so much self-love and self-compassion. I was doing the best I could at the time. I’m not mad at him or me, and I don’t regret it. It was an important relationship for me to learn from. At the time, I just didn’t even know what I needed to find real love. No one ever told me, nor did anyone ever ask me. Now that you know what DOESN’T work to find real love (or perhaps you’ve experienced something similar to what I just shared?) I want you to know what you DO need to find real love. 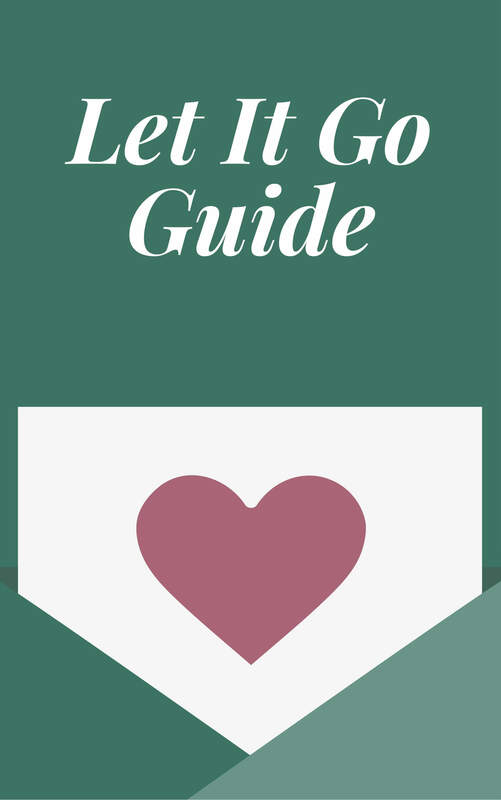 My wish for you is to sidestep experiences like I shared above to creating a life and a relationship you love, with as little heartache as possible. I’ve been with my husband for four years, and during our relationship, and in dating others before him, I’ve made MANY mistakes. You don’t need to do the same! I’ve compiled 7 things I believe every woman needs to find real love so you can start finding it today. Get the free checklist and don’t do what I did. I was in such relationship too.